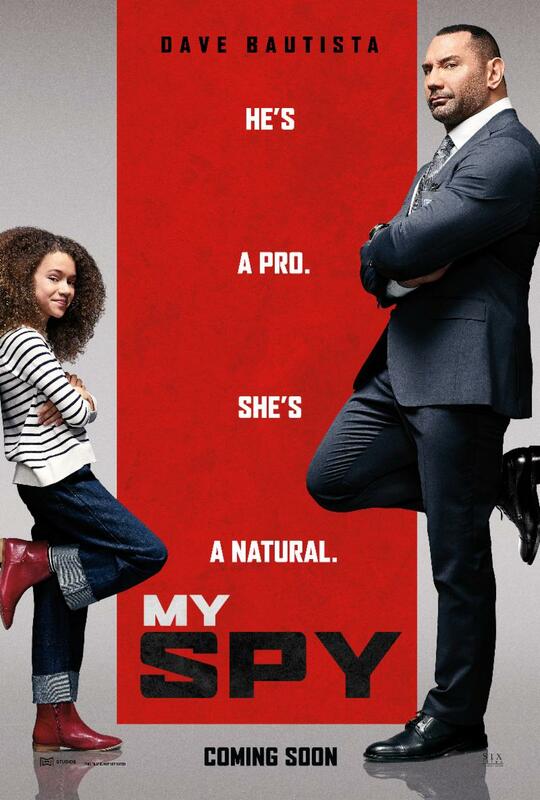 Here is the trailer from the upcoming film “MY SPY.” Directed by Peter Segal. The film stars Dave Bautista, Kristen Schaal, Ken Jeong. Here is the new trailer from CBS Films’ upcoming film “THE DUFF.” The film is directed by Ari Sandel, starring Mae Whitman, Robbie Amell, Bella Thorne, Bianca Santos, Skyler Samuels, Nick Eversman, Alison Janney, Romany Malco, Ken Jeong. Here is the trailer from CBS Films’ upcoming film “THE DUFF.” The film is directed by Ari Sandel, starring Mae Whitman, Robbie Amell, Bella Thorne, Bianca Santos, Skyler Samuels, Nick Eversman, Alison Janney, Romany Malco, Ken Jeong. Bianca (Mae Whitman) is a content high school senior whose world is shattered when she learns the student body knows her as ‘The DUFF’ (Designated Ugly Fat Friend) to her prettier, more popular friends (Skyler Samuels & Bianca Santos). Now, despite the words of caution from her favorite teacher (Ken Jeong), she puts aside the potential distraction of her crush, Toby (Nick Eversman), and enlists Wesley (Robbie Amell), a slick but charming jock, to help reinvent herself. To save her senior year from turning into a total disaster, Bianca must find the confidence to overthrow the school’s ruthless label maker Madison (Bella Thorne) and remind everyone that no matter what people look or act like, we are all someone’s DUFF. Here are 2 movie clips from Paramount Pictures’ upcoming film “Pain & Gain”. The movie is directed by Michael Bay, starring Mark Wahlberg, Dwayne Johnson, Anthony Mackie, Ed Harris, Rob Corddry, Tony Shalhoub, Bar Paly, Rebel Wilson, Ken Jeong, Yolanthe Cabau. Here is the trailer from 20th Century Fox’s upcoming film TURBO. The movie is directed by David Soren, starring Ryan Reynolds, Paul Giamatti, Ken Jeong, Maya Rudolph, Ben Schwartz, Snoop Lion, Samuel L. Jackson.